Stop # 1 – February 23 – China Lake Naval Air Weapons Station 8,000,000 ppt. of PFAS found in the groundwater. Stop #2 – February 24 – Cannon AFB, New Mexico 2,600,000 ppt. Stop #3 – February 25 – Dallas Former NAS, Texas 1,247,000 ppt. Stop #4 – February 25 – Former England AFB, Louisiana 10,970,000 ppt. Stop #6 – February 27 – Jacksonville NAS, Florida 1,397,000 ppt. Stop #7 – February 28 – Mytle Beach Former AFB 2,640,000 ppt. 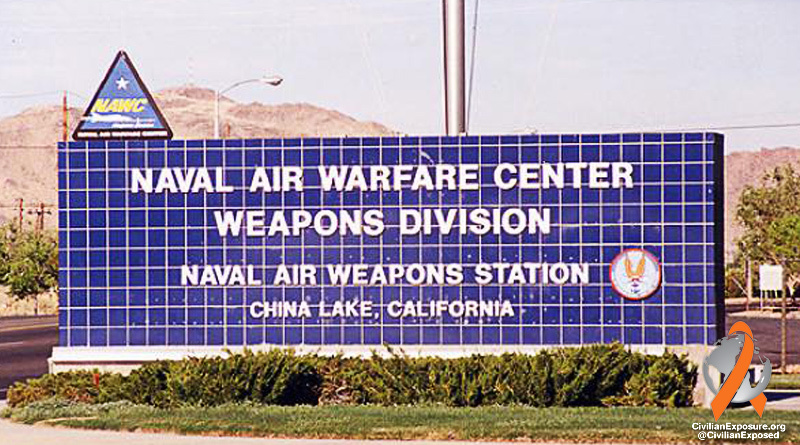 China Lake Naval Air Weapons Station 8,000,000 parts per trillion (ppt.) of PFAS found in the groundwater. The maximum detection of PFAS in the groundwater at the Navy’s China Lake site was 727,273 times what is considered a safe exposure level. However, the China Lake NAWS Public Affairs Office says that China Lake’s drinking water wells are not affected. They say the contamination is at a depth of 20 feet atop a 200-foot thick impermeable geological formation and that the site is located 8.1 miles from the nearest drinking water well. Meanwhile, California’s Water Resource Control Board has issued statewide drinking water notification levels of 14 parts per trillion (ppt) for perfluorooctanoic acid (PFOA) and 13 ppt for per fluoro octane sulfonic acid (PFOS). Water systems that voluntarily test for PFOA and PFOS must now report results that exceed the notification levels and, if the results exceed the response level, the Water Board will recommend that the supply well be taken offline. Officials at China Lake also contend that the Navy phased out PFOS and PFOA and they now use “compounds that are similar but degrade easier, as they are not fully fluorinated.” Actually, Every PFAS that has been studied is causing problems. Massive amounts of PFAS sampling have been found at Site 43, which is a former firefighting training area on base. Cannon AFB, New Mexico 2,600,000 ppt. 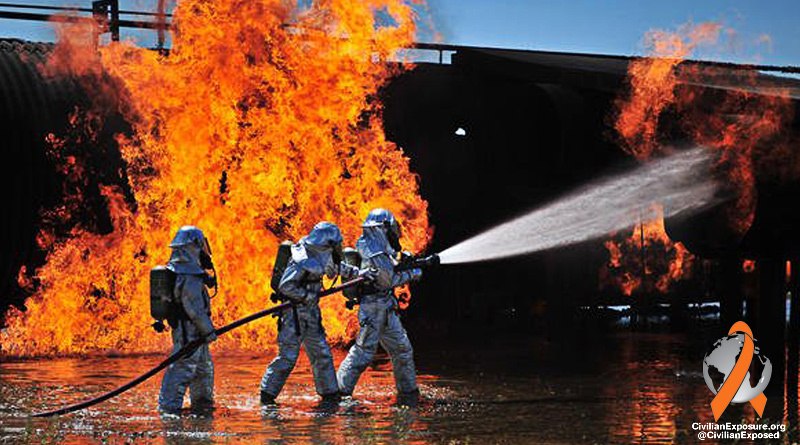 “Firefighters work to extinguish a simulated engine fire at Cannon Air Force Base, N.M., Aug. 2, 2012. 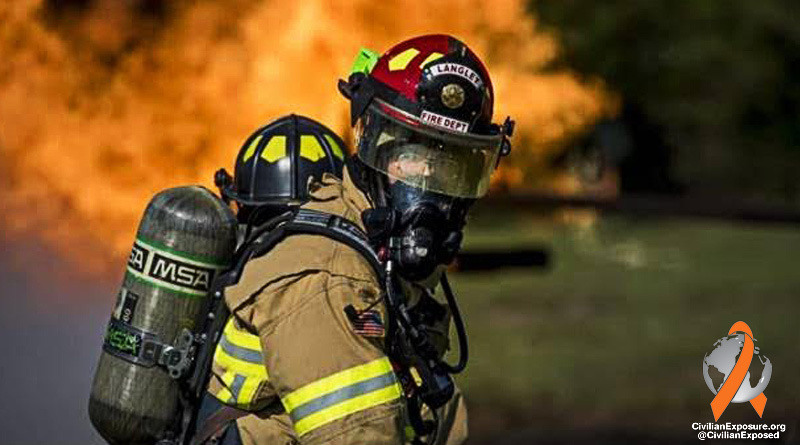 Chemicals associated with firefighting foam once used at the base* have been detected in groundwater.” (U.S. Air Force/Airman 1st Class Eboni Prince) * See below. The New Mexico Environment Department says Cannon Air Force Base is violating the state’s Water Quality Act. The state agency issued a Notice of Violation, which requires the Air Force to create a plan to protect local dairies from contamination in the short-term and also evaluate the possibility of installing systems to treat contaminated water supplies. A ruling against New Mexico would remove the state’s authority to compel the Air Force to clean up PFAS under the state permit. The litigation came as a shock to New Mexico authorities. “We were having discussions with the Air Force over various remedial options with respect to that permit, we felt like we were making progress, and I think it took us by surprise that the Air Force was exiting good faith conversations through the initiation of litigation,” explained James Kenney, New Mexico Environment Department Secretary-designate. Dairy farmers are concerned for the health of their cows and poisoning of milk near Cannon. The New Mexico Agriculture Department has requested that the Food and Drug Administration establish a standard for addressing the chemicals’ concentrations in milk or other foods while military officials said their hands were tied until then, as far as offering compensation for contamination to crops, cows or other food. The same is true across the country. The Air Force is making bottled water available for drinking and cooking for wells that exceed the 70 ppt. Health Advisory. The contamination at Cannon and Holloman has been traced to pits where Air Force firefighters train to extinguish aircraft fires. Former Dallas Naval Air Station, Texas 1,247,000 ppt. 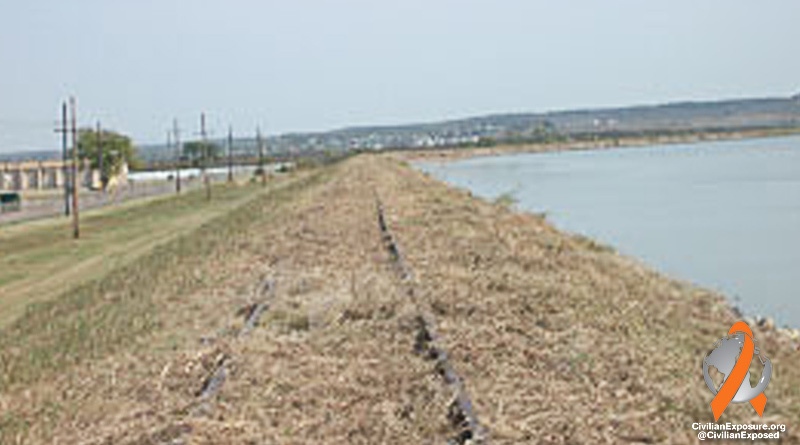 Abandoned railroad tracks stretch along the shores of heavily contaminated Mountain Creek Lake on the site of the former Dallas Naval Air Station. Locally, the former Dallas Naval Air Station is known as Hensley Fireld, an 800- acre, largely abandoned and highly contaminated complex about 8 miles west of Dallas. When the Navy closed the base in 1998 it tried to leave without paying hundreds of millions to clean up the soil and groundwater that is heavily contaminated with carcinagenic PFAS and other poisons. The city of Dallas sued and the Navy agreed to pay the city $18.55 million for ignoring environmental laws. In 2002, the Navy agreed to clean up the contamination by 2017, but failed to do so. According to letters between the Navy and the city in 2017, the Navy says it could take15 more years to get the job done. The Navy explained that it had already spent $105 million in clean-up costs, and blamed their refusal to live up to the agreement on “ambitious remedial goals” it agreed to in 2002. The city says the Navy has not developed a plan to finish the cleanup. The old base is located on the shore of Moutain Creek Lake, a seriously contaminated body of water. The Texas Parks and Wildlife Department warns the public not to eat the poisonous fish caught in the lake. We know the Navy has spent $41,000 investigating the extend of PFAS contamination at the closed Dallas facility but we don’t know the results. The Navy committed to conducting an “Affected Property Assessment Report” (APAR) on the contamination, but we haven’t heard anything since the DOD Report in March, 2018. Former England Air Force Base, Louisiana 10,970,000 ppt. England AFB in 2006. The base was closed in 1992 but continues to be the cause of the worst PFAS contamination by the military in the country. Former England Air Force Base near Alexandria, Lousiana is the most contaminated place on our nationwide tour and perhaps, anywhere on earth, with deadly PFAS found in the groundwater at 10,970,000 ppt. The facility was closed as an Air Force base in December, 1992. These numbers must be put into some sort of context. Philippe Grandjean of the Harvard T.H. Chan School of Public Health, and Richard Clapp of the University of Massachusetts at Lowell, calculated that an approximate safe dose of PFOS and PFOA in drinking water is 1 ppt. 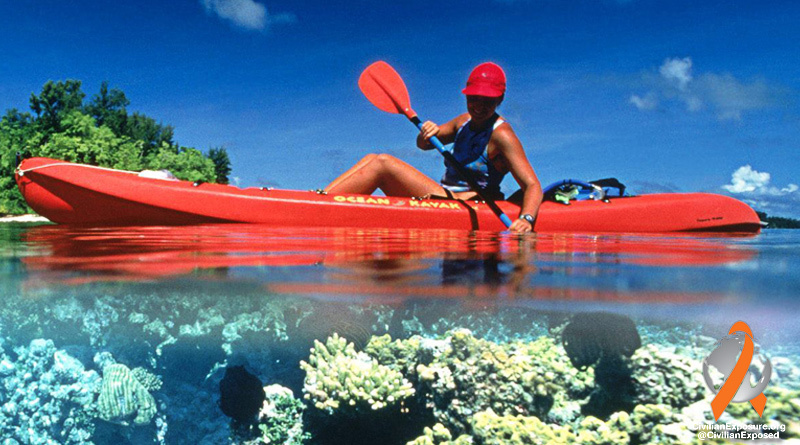 These contaminants never break down. They’re with us forever and most of us already have concentrations of these materials in our blood. The Agency for Toxic Substances and Disease Registry (ATSDR) has set drinking water guidelines of 7 ppt and 11 ppt for PFOS and PFOA, respectively. The state of Vermont mandates the drinking water may not contain more than 20 ppt combined of the chemicals. Meanwhile, the EPA advises that drinking water not exceed 70 ppt. The EPA has refused to set a mandatory Maximum Contamiant Level, (MCL). There’s been nothing in the press on the DOD Report in March, 2018 detailing the level of contamination at England. Meanwhile, communities elsewhere in the country with levels slightly over 70 ppt are causing a stir. The lagoons and the groundwater are contaminated at Cocoa Beach, Florida, near Patrick Air Force Base. More than 400 cancer cases from the past and present have been reported from individuals who lived in the greater Satellite Beach, Cocoa Beach, and South Patrick Shores area, according to Florida Today. Some of the reported cases are extremely rare with multiple diagnoses of these in specific areas. 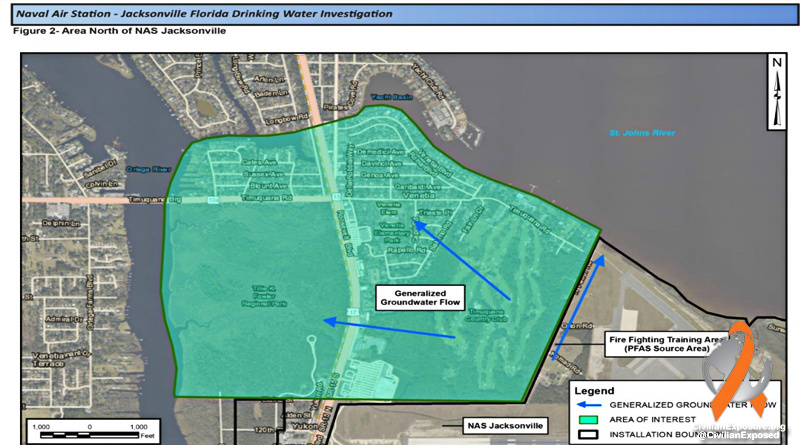 PFAS contamination is spreading throughout Brevard County, tests show. The deadly chemicals are also widespread in Indian River Lagoon. A residential well in Palm Bay was shown to have to 493.8 ppt of PFAS. Residential wells in Cocoa Beach and Satellite Beach ranged from 36.5 to 100.4 parts per trillion while Harvard scientists say 1 ppt of PFAS in drinking water may be dangerous to public health. The cancerous compounds also turned up in lagoon water located off Titusville, Rockledge, Palm Bay, KARS Park on Merritt Island, Cocoa Beach, Patrick Air Force Base, the Grand Canal in Satellite Beach and in Melbourne Beach. Fish and wildlife are contaminated. Lagoon muck samples collected near Patrick Air Force Base, in the Grand Canal and Melbourne Beach had combined PFOS and PFOA levels up to 8,830 parts per trillion. Scientists have found the compounds in alligators at Kennedy Space Center. The Air Force refuses to comment on the contamination. It unlikely that the DOD will pay for the toxic cleanup considering its refusal to do so in other communities around the country. Jacksonville NAS, Florida 1,397,000 ppt. The Navy often locates its fire pits on the edge of base property where the winds and the direction of groundwater generally moves away from base, as shown here at the Jacksonville Naval Air Station. The Pentagon has known of the disastrous impact PFOS and PFOA have on human health and the environment since 1974, and they continue to use the poisonous foams today. The Navy’s actions in Jacksonville are high crimes against humanity. The Navy says it is not concerned, and they have no reason to be concerned. That’s because the military believes it is above state law. For instance, the Air Force was recently told by Michigan health authorities to abide by the state law that regulates the discharge of PFAS to keep the contaminates under the 12 parts per trillion. Florida has no such law. In Michigan the Air Force flatly refused to abide by the regulation. The Air Force said it did not have to comply with the state regulation because of the federal government’s sovereign immunity from state or local laws. In Florida, neither the state nor the feds are tending to business. The Navy is not concerned. The Navy only tested areas south of Longbow Rd. and Pirate’s Cove Rd. off of Rt 17 north of the base. Plumes of groundwater PFAS contamination are known to travel much further..
“Residential wells in Titusville, Suntree, Palm Bay, Cocoa Beach and Satellite Beach ranged from 7.6 to 493.8 parts per trillion, with the highest level at a well in Palm Bay. Residential wells in Cocoa Beach and Satellite Beach ranged from 36.5 to 100.4 parts per trillion.” Harvard scientists say eposure to PFAS chemicals at 1 ppt. per tillion endangers human health. Myrtle Beach Former AFB 2,640,000 ppt. 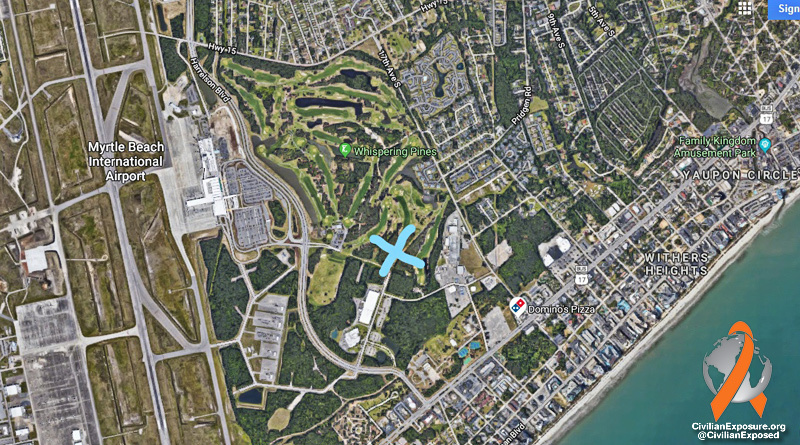 Myrtle Beach, S.C. – X marks the spot of one of the most contaminated places in the country. It is the former site of Fire Training Area #4 when the land was part of Myrtle Beach Air Force Base, which closed in 1993. 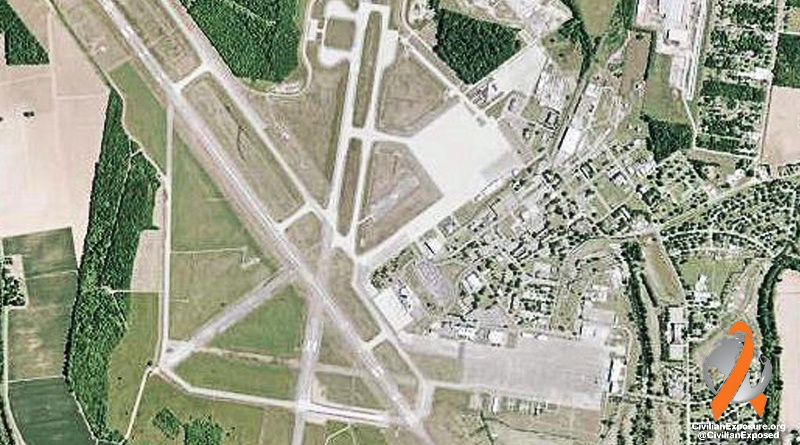 In 2010 the Air Force completed the transfer of the Myrtle Beach Air Force Base to the Myrtle Beach Air Force Base Redevelopment Authority. The base shut down in 1993 and was heavily contaminated with PFAS as a result of the routine use of aqueous film forming foam (AFFF) that was allowed to leach into the area’s groundwater and is still prevalent today. The old base is now the site of a new commercial air terminal, over 1,200 homes, and more than 300,000 square feet of commercial space. At the time of the final land tranfer in 2010, the Air Force had spent $60.1 million to clean up 192 contaminated sites, with 16 hazardous sites sites remaining open. According to the Defense Environmental Restoration Prgram The final cleanup of the Fire Training Area is expected by September, 2021, although the atronomical number of these contaminants that never break down in nature is likely to require generations to remediate, if it is ever possible. Fire Training Area #4, located about a half-mile behind Midway Park off of S. Kings Highway, was used for routine fire training from 1970-1981. Three other areas on the base were also used, dating back to 1955.The procedure utilized in the fire training areas was to construct an earthen dike approximately 12 to 18 inches high in order to contain the fire and to pour several hundred gallons of contaminated jet fuel onto the soil within the dike and to set the fuel on fire. The carcinogenic foams were used to extinguish the fire in routine drills. The deadly chemicals saturated the soil and were allowed to leach into the ground. By the end of 2016, Langley had spent $785,000 investigating PFAS contamination, but nothing on mitigation actions. There have been no reports in the press regarding the 2.2 million parts per trillion of PFAS found in Langely’s groundwater. It’s not an issue.